Miguel Berchelt of Mexico in January realized a dream when he knocked out Francisco Vargas in the 11th round to take Vargas’ super featherweight world title at Fantasy Springs Casino in Indio. Berchelt (31-1, 28 KOs) on Saturday will make his first defense when he takes on Takashi Miura of Japan in the main event at the Fabulous Forum in Inglewood (on HBO). Miura (31-3-2, 24 KOs) is a former champion who lost his belt to Vargas in November 2015. “I consider myself a world champion and fighting Takashi Miura is a way to prove that I am the best in my class,” Berchelt said. “Some of my advantages include my height, the fact that I haven’t been in many wars, and my youth. It seems Andre Ward is tired of hearing how he was decked by Sergey Kovalev in the second round of their light heavyweight title fight this past November, and how he was fortunate to get the narrow decision over Kovalev at T-Mobile Arena in Las Vegas. “They have to understand, there’s nothing scary about this man,” Ward said at Monday’s news conference in New York City promoting the June 17 rematch at Mandalay Bay in Las Vegas (on HBO pay-per-view). “You realize we just fought 12 rounds four months ago? Everyone wants to highlight the knockdown; that’s probably one of the most beautiful moments of my career. Ward, 33, is from Oakland. He’s 31-0 with 15 knockouts. Kovalev (30-1-1, 26 KOs), of Russia, intimated he’s concerned that Ward will put out of this second go-round. Former four-division world champion Adrien Broner (32-2, 24 KOs) and Adrian Granados (18-4-2, 12 KOs) on Friday successfully made weight for their welterweight bout Saturday at Cintas Center in Broner’s native Cincinnati (on Showtime). Both fighters weighed in at 146 1/2 pounds, a half-pound under the limit. Granados hails from Cicero, Ill.
Also on the card, Lamont Peterson (34-3-1, 17 KOs) of Washington D.C. will challenge David Avanesyan (21-1-1, 11 KOs) of Russia for his welterweight title. Peterson tipped the scales at 146 1/2 pounds with Avanesyan coming in at 147. 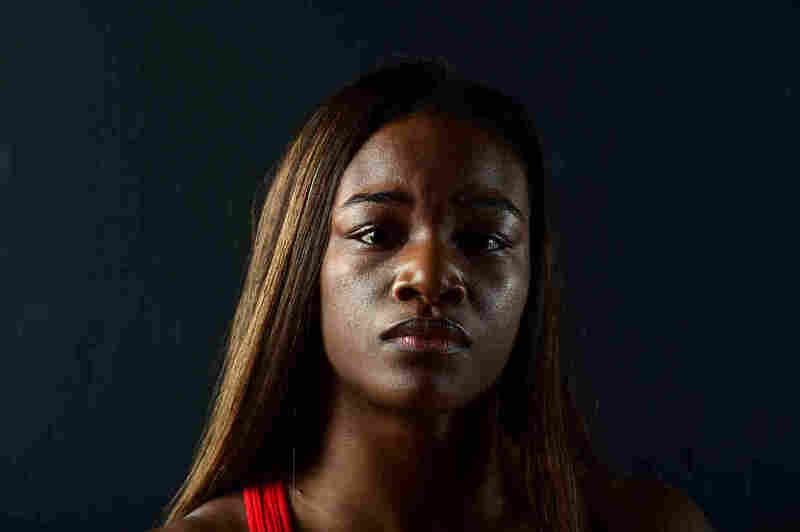 Claressa Shields, who won gold medals in the 2012 and 2016 Olympic Games, will make history March 10 when she becomes the first female prize-fighter to headline a card that will be televised on a premium channel. Shields will take on Szilvia Szabados of Hungary in the middleweight main event from MGM Grand in Detroit (on Showtime). Shields (1-0) is stoked. Szabados (15-8, 6 KOs) was equally thrilled. “Fighters always say their next fight is the most important one of their career, but you get an opportunity like this and it really is,” she said. “This is an unbelievable dream. I am very happy to be receiving this opportunity. Golden Boy Promotions on Thursday announced it has agreed to a multi-year deal with ESPN to televise cards on ESPN2 and ESPN Deportes. The first event of the series will take place March 23 at Fantasy Springs Casino in Indio. Eighteen cards will be televised during the first year of the deal in English and Spanish, with affiliates in Latin America, Canada, the Carribean, Austrailia and parts of Asia getting in on the fun. Oscar De La Hoya, chairman of Golden Boy, is stoked about the accord. The first month of 2017 is shaping up nicely. Carl Frampton of Northern Ireland on Jan. 28 will defend his featherweight title against Leo Santa Cruz of Lincoln Heights at MGM Grand in Las Vegas (on Showtime) in a rematch of their fight this past July won by Frampton at Barclays Center. But two weeks earlier – on Jan. 14 – James DeGale of London will kick things off by taking on Badou Jack (20-1-2, 12 KOs) of Sweden in a super middleweight title-unification bout at Barclays Center (on Showtime). 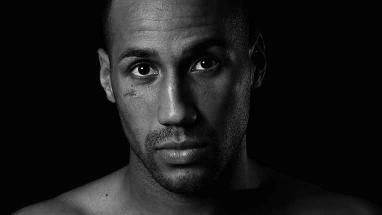 DeGale loves the idea of fighting a fellow champion. Bernard Hopkins wants to go out with a bang Saturday against Joe Smith Jr.
Bernard Hopkins wants to go out with a bang, even if he is 51. “On Dec. 17, I want to give a performance where you beg me to stay,” Hopkins said during a recent conference call promoting his fight Saturday against light heavyweight contender Joe Smith Jr. at the Fabulous Fourm (on HBO). “And it’s a challenge that Joe Smith will have to take on. For fighters to show their greatness, they need someone to bring it out. Hopkins (55-7-2, 32 KOs), one of the great middleweight champions of all time, is also a former light heavyweight champion. He hasn’t fought since losing a very wide decision to Sergey Kovalev in a light heavyweight title-unification bout in November 2014. Hopkins was 49 at the time. That means Hopkins will have been out of the ring for two years and a month when he steps in against Smith (22-1, 18 KOs), a top 10 fighter who is just 27. Mikey Garcia has big goals for 2017. He will start trying to accomplishing them Jan. 28 when he challenges Dejan Zlaticanin of Montenegro for his lightweight title at MGM Grand in Las Vegas (on Showtime). “I’m really happy to have been given this opportunity to claim a world title in a third division,” said Garcia, who has won titles at featherweight and super featherweight. “This is going to be an amazing fight. He’s a hungry world champion, he’s very dangerous. These are the kind of fights I want. This is what I need to prove myself. Garcia, of Oxnard, did not fight for 2 1/2 years because of a contract dispute with his former promoter, Bob Arum of Top Rank Inc. After a settlement, Garcia got back into the ring this past July 30 and stopped Elio Rojas in the fifth round at Barclays Center in Brooklyn. Garcia, 28, is 35-0 with 29 knockouts. Zlaticanin, 32, is 22-0 with 15 knockouts. They will tangle underneath the featherweight championship rematch between Leo Santa Cruz of Lincoln Heights and Carl Frampton of Northern Ireland. Abner Mares wants to again be a world champion in the worst way. Mares, who has won titles in three weight classes, parted ways with longtime trainer Clemente Medina and hired the more famous Robert Garcia to help fuel that endeavor. That was 10 months ago. In the opinion of Mares (29-2-1, 15 KOs), that makes this trainer change different than most. That was evident when he was asked Monday during a conference call to explain how he might have changed under Garcia. “I know once you get a new coach they tend to get a fight right away, and they tend to fight the next six to eight weeks, and you don’t see much of a difference,” said Mares, who Dec. 10 will challenge Jesus Cuellar (28-1, 21 KOs) of Argentina for his featherweight title at Galen Center (on Showtime). “Why? Because you only have that small period of time to train and get to know each other. And I just mentioned a whole year with Robert and not only a whole year with Robert, a whole year of getting ready for this fight against a southpaw. Mares has not fought since losing a majority decision to Leo Santa Cruz in a fight for a vacant featherweight title on Aug. 29, 2015. As good as Vasyl Lomachenko is, as much as his promoter Bob Arum touts him as the greatest he’s seen since a young Muhammad Ali, Lomachenko knows he is in for a real nasty time of it Saturday when he defends his super featherweight belt against hard-hitting Nicholas Walters. The two will square off at the Cosmopolitan in Las Vegas (on HBO). Lomachenko, of Ukraine, is 6-1 with four knockouts. The two-time Olympic gold-medal winner has also held a major world title in the featherweight division. Walters, of Jamaica, is 26-0-1 with 21 knockouts.